The WIN-T program is the Army’s high-speed, high-capacity tactical communications network to distribute classified and unclassified information through all echelons of Army command by means of voice, data and real-time video. The first chapter examines the WIN-T Program. The second chapter is a discussion on the current structure and its role in the changing telecommunications landscape of the Federal Communications Commission (FCC), which is an independent federal agency with its five members appointed by the President, subject to confirmation by the Senate. 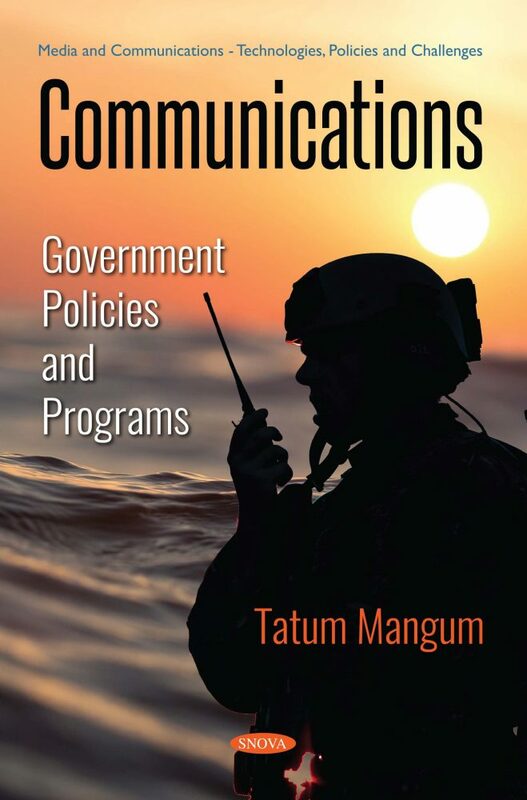 The remaining chapters of this book look at the First Responder Network (FirstNet) and Next-Generation Communications; an overview on cybersecurity and information sharing, and the FCC’s rules and policies regarding media ownership, attribution and ownership diversity. The FCC broadcast media ownership rules restrict the number of media outlets that a single entity may own or control.